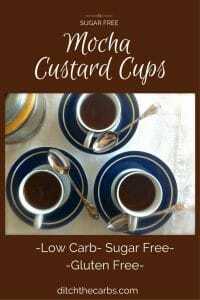 These Sugar-Free Mocha Cups are a super simple way that you can enjoy a chocolate and coffee sweet treat and stay on track! Don’t feel like you have to limit yourself just because you’re limiting your carbs! 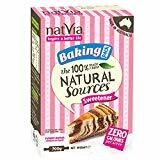 This treat is one that you can enjoy without the guilt! Feeling as though you’re limited on sweet treat options can be discouraging. 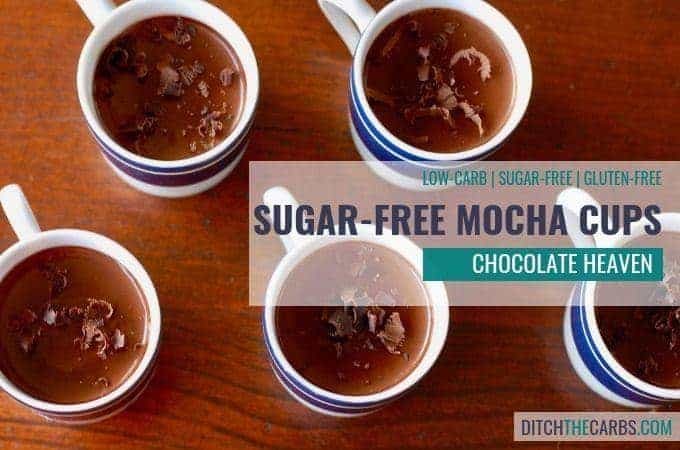 Instead of allowing that to be the norm, it’s time that you give your taste buds a wake-up call with these delicious, healthy sugar-free mocha cups. Because honestly, you deserve a treat. And even more than that … you work hard to eat low-carb or keto, and live a healthy lifestyle, so I think you’ve earned yourself a delicious low-carb recipe like this. These mocha cups are hands down delicious. Each little sip is like it’s own slice of coffee heaven. And you can sit there enjoying every single bite knowing that you’re not busting your eating habits or lifestyle by indulging in this treat. That, my friends, is a total win. What is instant coffee and is it necessary for these homemade mocha cups? Instant coffee is a dream come true. While some people tend to shy away from it because it’s not actually brewed, instant coffee has the same great taste and flavour of other coffee options. 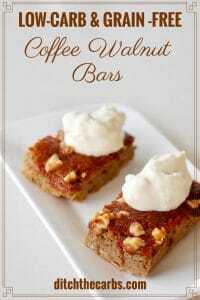 For this recipe, you add the instant coffee and cook the sugar-free mocha cups on the stovetop. But for everyday use, instant coffee can easily be added to a hot cup of water to give you that instant coffee fix that you’re needing to start your day. What is the difference between a latte, espresso or a mocha? Many people are confused at all the varieties and options available at a coffee shop. Ordering coffee seems to have become so complicated. 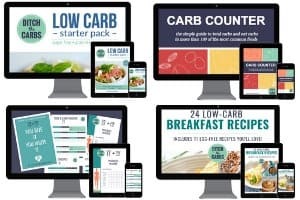 What is the best way to order a coffee AND stay low-carb? For me, I ditched the milky lattes and flat whites as soon as I realised how high carb they are. Now, my regular order is an Americano (long black) with a side of hot water and heavy pouring cream. – 2g carbs AND I manage to get 2 cups of amazing coffee for my $$$. 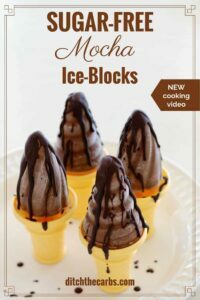 Now that we’ve got your mouth-watering, it’s time to think of other fun ways that you can enjoy these sugar-free mocha cups! While they’re delicious to enjoy on their own, why not have a fun breakfast or brunch date with your friends and have these are the main event! When you find something this good and delicious, you need to make certain that you share it with everyone that you love. 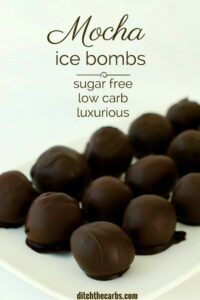 Personally, I love these for a real after-dinner treat. If you love the taste of mocha or just plain coffee, you’re in luck. We have a ton of amazing mocha and coffee recipes that can keep this sugar-free coffee taste and flavour going all season long! 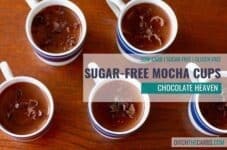 Sugar-free mocha cups. 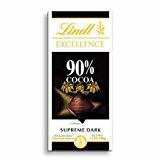 You can enjoy a chocolate and coffee sweet treat and stay on track! In a small saucepan, warm together the heavy cream, instant coffee and sweetener on a low/medium heat. Do not boil. Break the chocolate into pieces and add to the warm cream, stirring until the chocolate has melted. Remove the saucepan from the heat. In a small bowl, whisk the eggs. Add the eggs slowly to the warm chocolate/coffee/cream, whisking continuously. 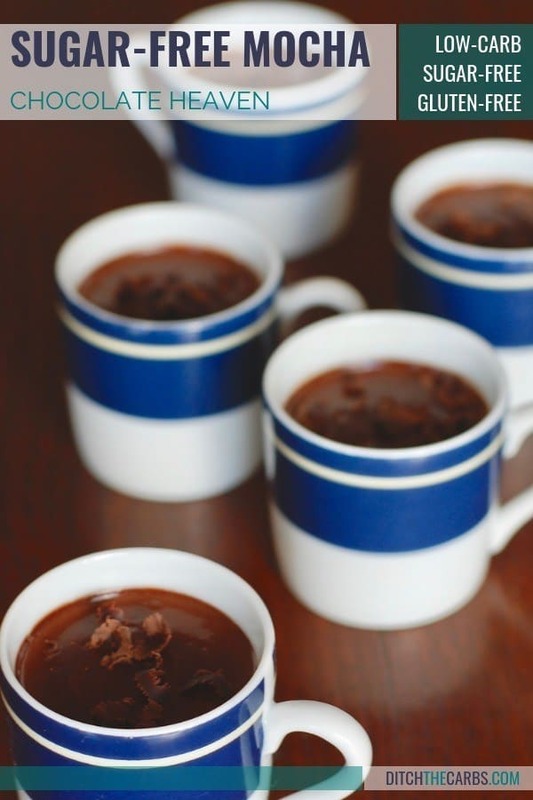 Pour the mocha mix into 6 little espresso cups and place them in the fridge for at least 2 hours to set. These are very good and quick to make. When I printed out the recipe I noticed that the ‘Print Version” no longer includes a picture / photo of the recipe which I really like to have. When I return to the recipe at a later date it’s very helpful to have a photo, even if a small one. Apologies Denise, I received too many complaints that the picture took up a lot of ink with reader’s printers. But in your header, don’t you mean, enjoy WITHOUT guilt?? I just saw that too, I’ve amended that now to “without the guilt” – whoops!